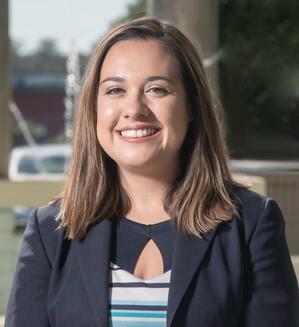 CLEARWATER, Fla. – (March 16, 2018), FrankCrum is proud to announce the promotion of Anna Leo Holder to Vice President of Client Services. As Director of Client Services, Holder has led the Client Experience, Compliance and Enrollment teams for five years working to deliver superior customer service to FrankCrum’s PEO clients nationwide. Her team of Client Experience Account Managers provides product and service support and resolves client issues with the goal of maintaining productive and lasting business relationships. The Compliance team supports clients and internal staff by addressing contract compliance and the Enrollment team brings new clients on board and activates new locations for existing clients. Under Holder’s leadership, client retention for FrankCrum has increased by 6 percent over the last five years. Holder’s previous experience in FrankCrum’s Payroll, Accounting and Compliance Departments has been vital in implementing service initiatives to improve client retention and overall satisfaction. “I am so honored to have this opportunity to continue to advance in my leadership role at FrankCrum. Over the past 12 years, I have worked with exceptional people within the company and with clients. I have earned both a Bachelor’s Degree and an MBA with the help of the company’s tuition reimbursement program and held multiple positions that exposed me to many learning opportunities. I am proud to be a part of the FrankCrum family and look forward to supporting the mutual success of the company and its clients,” Holder says. "Anna has been a high performer, always learning and looking for ways to improve the business. It's tremendous that she pursued her education while working here, and she is a great example of an employee who has worked very hard and smart to achieve her personal and professional goals," says Haley Crum, Executive Vice President of FrankCrum. As Vice President of Client Services at FrankCrum, Holder will continue to foster improvements in customer satisfaction and analyze future customer needs to develop ongoing strategies for success. About FrankCrum: Founded in 1981, FrankCrum is a pioneer in the Professional Employer Organization industry, providing outsourced Human Resources, Payroll, Employee Benefits, Risk Management and Workers' Compensation. The company supports more than 3,000 businesses nationwide that collectively employ more than 50,000 people. The FrankCrum family of companies includes FrankCrum, FrankCrum Staffing, Frank Winston Crum Insurance, and FrankCrum Insurance Agency, each focused on the business success of small and medium-sized employers. For more information, go to http://www.frankcrum.com or check out our blog at www.frankcrum.com/blog.